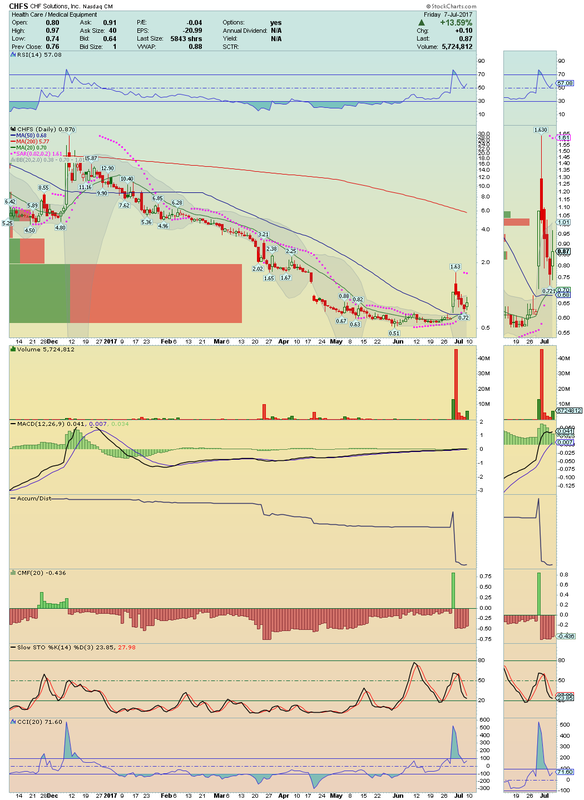 RXII ---> It made a strong upside movement full of Buying Pressure! 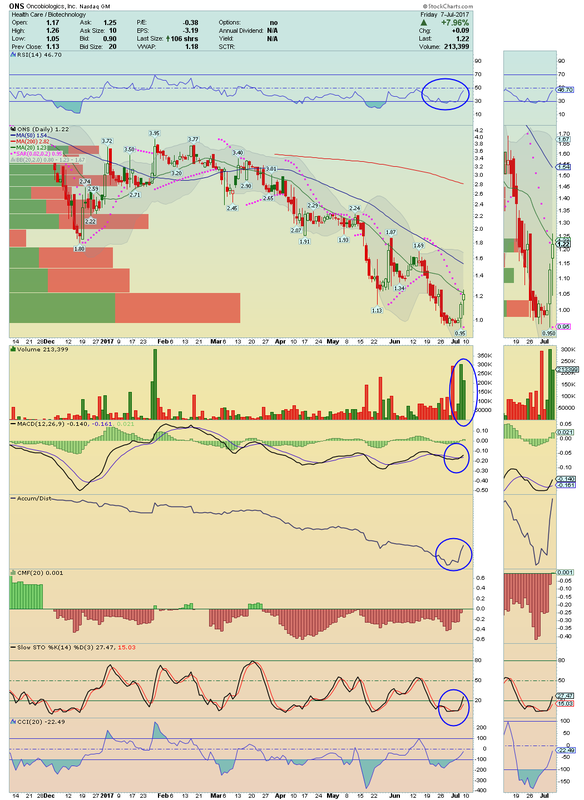 It is setting up to back in into the GAP and a break above its 200MA could help the price close it! With money Flowing into the stock and Accumulation rising strongly, i believe that party has just begun!! Keep it closely! CHFS ---> It saw high interest from Buyers! Poised on top of its 20 Moving Average and 50 Moving Average, with technical indicators staring to curling up, we can be on the verge of another strong upside movement! $1.63 could be tested very soon. HEB ---> This stock looks ready to take off from the base formed on top of its 20 Moving Average! Volume was high, for the second consecutive day, and all technical indicators on chart are showing a strong bullish activity! Buyers are in charge. Stay closely for a test to its 50 Moving Average. ONS ---> Nice continuation of the upside movement started from the bottom! Testing its 20 Moving Average now, this setup saw its volume remain heavy and bullish! Also, the Accumulation still rising very well! ONS is under strong Momentum and worth catch it for the next round! If it confirms this break, $ 1.54 could be the next stop! Long over $1.26. PYDS ---> Nice move with lots of Buy Signals on chart! I´ll be watching closely for the break above its 50 Moving Average. If do that on volume and as it is a Low Float Stock, this one could move fast. 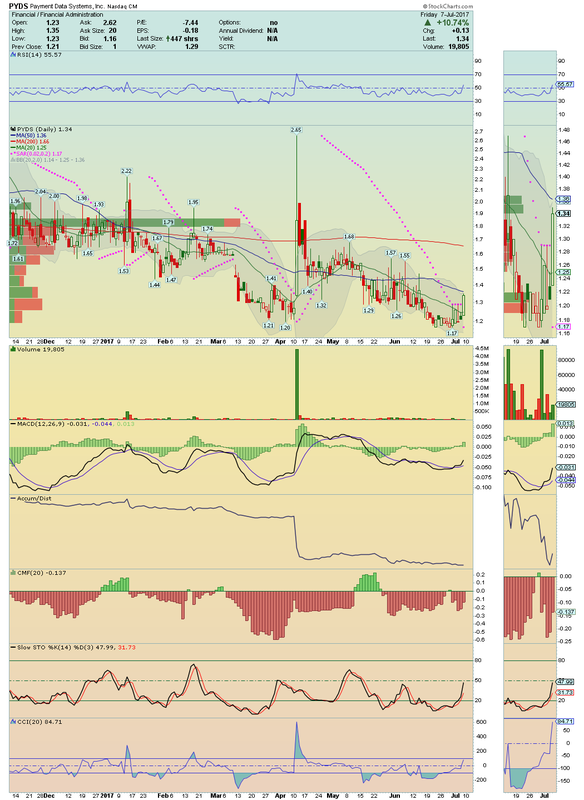 $1.55 possible target. 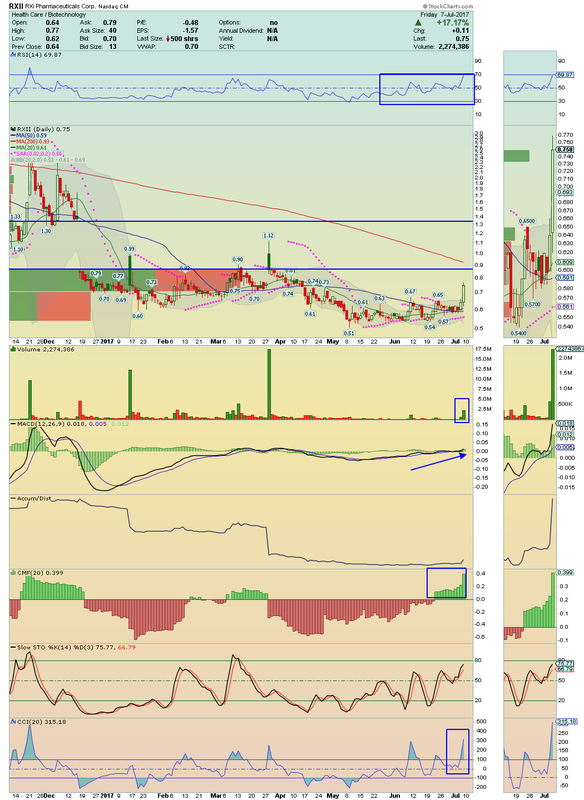 VNCE ---> It made a strong Breakout on volume, over its 50 Moving Average and above its Upper Bollinger Band Line! If you follow me on Twitter, you should saw my alerts for this one! Next step now is the break above $0.67! If it do that on high volume again, it should see $1.00 easily. Don´t lose the train, stay closely. TRIL ---> Looks ready to leave the Bottom and move on! All technical indicators are curling up, meaning that is gaining Momentum! Lets watch closely over $4.58! If break it on volume, it could make a nice squeeze.